Reno and Sparks local maps and more with RenoandSparks.com. 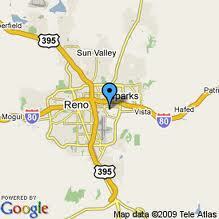 We have compiled the best maps websites in the Reno Nevada area all in one spot. Feel free to browse some of the top maps of the Reno Nevada area and Lake Tahoe area. We are in no way associated with any of the maps websites above or below. The viewing of these map websites is framed in the links above for the ultimate browsing experience! You may also view these map websites in Reno Nevada without frames by clicking the links below.